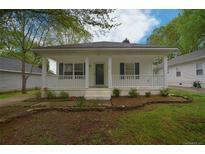 Find Belmont, NC Homes for sale. View Photos, Maps and MLS Data Now! You will love the feel of this home, and it's super location! MLS#3495278. Allen Tate Ballantyne. HIGHLAND ON THE POINTE - This home features great detail and is a must see! ! MLS#3496386. Coldwell Banker MECA Realty. Easy commute to Charlotte and I85. MLS#3496269. Better Homes and Gardens Real Estate Paracle. Catawba Heights - A gardener’s dream with beautiful azaleas and perennials adorning the landscape, and 2 older strg bldgs (need some TLC) for tools. MLS#3497400. Allen Tate Gastonia. Easy access to Wilkinson Blvd and I-85. Sold as-is. MLS#3497533. Ranson Real Estate Inc.
Catawba Heights - Don't wait, it won't last long. MLS#3497030. Wilkinson ERA Real Estate. Timberlake - Beautiful Wide Wood Blinds Thru-out, Make an offer! But You Better Hurry! MLS#3496249. RE/MAX Executive. Home is being offered in as-is condition, cash only purchase, seller does not own yet, please call listing agent for questions, please make sure offer includes proof of funds, please confirm chosen attorney is comfortable with transaction or get a list of qualified attorneys from listing agent. MLS#3496417. Southern Home Group LLC. Very convenient minutes from downtown & 74/85 MLS#3492560. Coldwell Banker MECA Realty. Enjoy quite evenings in your private courtyard, which is very low maintenance. Move in ready! MLS#3493003. Hanks Realty Group. Don't miss your opportunity to own in this location with so many conveniences. Great and up coming area! MLS#3494694. Trade & Tryon Realty. You are welcome to ride by property but Do Not Disturb tenant! Over half acre corner lot. MLS#3495269. Allen Tate Gastonia. If living in downtown belmont sounds good, If watching Belmont's 4th of July fireworks from your driveway with your family and friends is your thing, if living in a highly coveted location where you can walk out the back gate and have direct access to Stowe Park and downtown Belmont's restaurants and main street offerings is appealing, if living 15 minutes from Charlotte Douglas International Airport and easy access to lake wylie and downtown Charlotte sounds good, If residing in a custom, thoughtfully designed all brick home is appealing, here is your chance. MLS#3493610. Realty Concepts. Plus don't miss the surround sound. MLS#3489959. Keller Williams Ballantyne Area. Great opportunity to make this your dream home with a little TLC. MLS#3494986. Lake Norman Realty, Inc..
Fresh paint and refinished hardwood floors. MLS#3493598. S Pilson Realty. City Water with a Septic Tank ready to go for 5 Bedrooms! MLS#3492978. Randolph Realty. Catawba Heights - More photos to be added 4/6. MLS#3492896. SRP The Agency Inc. This property is a must see! MLS#3491764. Hanks Realty Group. Woodland Park - Wonderful workshop with 110/220 wiring lots of storage. Great buy MLS#3492989. Coldwell Banker MECA Realty.